A London building firm has been fined over half a million pounds for the corporate manslaughter of two men who died after falling into a building site it operated. Monavon Construction pleaded guilty to the corporate manslaughter of Gavin Brewer, 32, and Stuart Meads, 34, at the Old Bailey on Monday, 9 May. The sentence was imposed at the Old Bailey last Monday, 27 June. The company also pleaded guilty to an offence under section 3 of the Health and Safety at Work Act, namely the failure to discharge duty to a non-employee. Monavon Construction was responsible for a building site in Netley Street at the junction with Hampstead Road, NW1. Work had been going one at the site for approximately three years and construction was nearing its conclusion. Part of the site bordered Netley Street and plywood hoardings had been put in place there which covered the pavement. On 14 October 2013 work began to change the hoarding so the pavement could be reinstated. On Friday, 18 October this work had been completed leaving the hoardings, measuring approximately 4ft in height, fixed by wooden struts to a wall behind which measured between 130mm to 280mm in height. Behind this wall was a drop of approximately 12ft down into a basement area. Gavin Brewer and Stuart Meads were walking in Netley Street, NW1 in the early hours of Saturday, 19 October 2013. 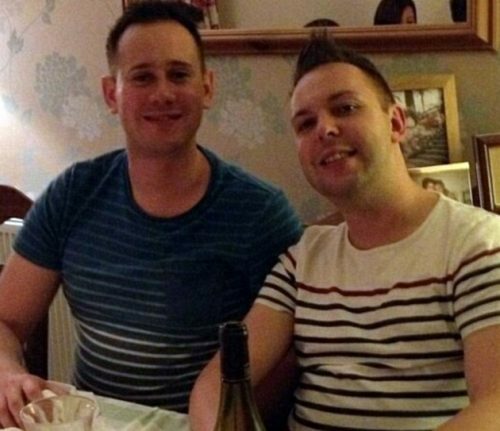 Police said Gavin and Stuart had been arguing and scuffling with one another and as the pair walked past the building site they made contact with the hoarding which gave way, sending both men falling into the basement area. Both Gavin and Stuart were pronounced dead at the scene following their fall. The Metropolitan Police launched a joint investigation with the Health and Safety Executive which found that the hoardings had been fixed in such a way that only negligible force would have been required to make them give way. Monavon was fined £250,000 each for the deaths of Gavin Brewer and Stuart Meads as well as £50,000 for heath and safety breached. It was also ordered to pay £23,653 prosecution costs.